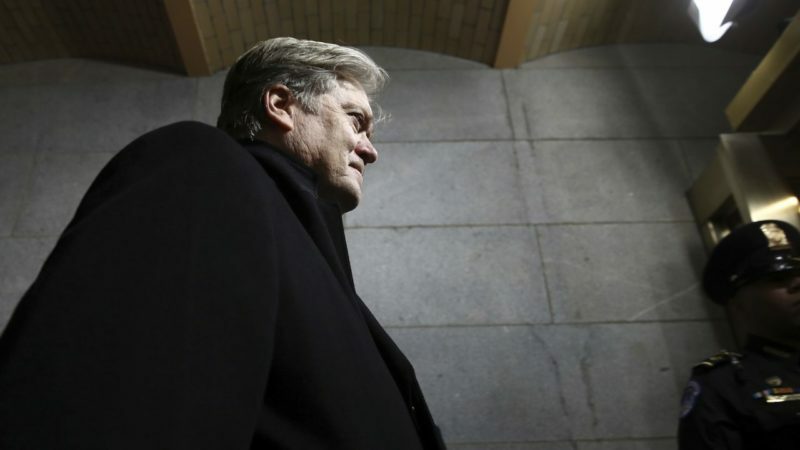 Steve Bannon, Breitbart executive and former member of the Trump administration, has had it with those attempting to tear down his former boss and the leader of the free world. This includes everyone from members of the “#Resistance,” to Republicans who still bear the “Never Trump” label and are doing their best to diminish his successes while focusing endlessly on his scandals. One of his newest targets is former President George W. Bush, who he called the “most destructive President” that this country has ever had. Definitely a title that is debatable, but I’m sure there are plenty of people who agree, especially now that Bush is in the dog house with the Republicans. “There has not been a more destructive presidency than George Bush’s,” Bannon stated while speaking at the California Republican Party convention. While some may view what Bush said as a warning about becoming bitter and hateful toward immigrants for no reason, Bannon saw it as an attack on Trump and more specifically an attack on his beliefs. That is one thing that Bannon cannot abide. He accused Bush of not knowing whether “he is coming or going, just like it was when he was president.” Everyone in the audience booed at the mention of the former President’s name. This really shouldn’t come as a shock to anyone. Bannon has always been more conservative than the 43rd President and he recently declared an all-out war on those Republicans who refuse to support Trump’s agenda, and plans to “cut off the oxygen” to Mitch McConnell’s 2018 re-election run. So naturally, Bush falls into this category. He really always has, but the fact that he said that he wouldn’t speak against a sitting President during the Obama administration and then doesn’t even wait a year to begin criticizing President Trump made a lot of conservatives and Republicans very upset.